Inside the wheel house theres lounge seating that converts to a single berth, A Galley with pressure hot and cold water. The metho stove is perfect for cooking up the fresh crays after a dive! Behind the sliding cabin door is 2 single bunks and an Electric toilet with a holding tank. 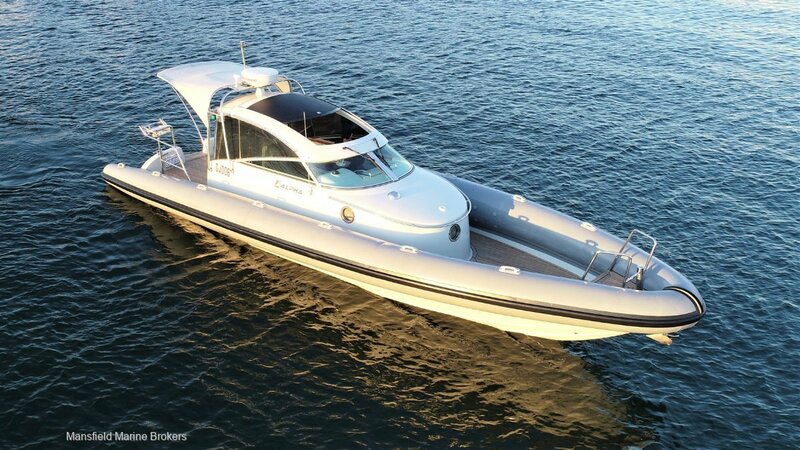 Powered by 2x Yanmar 6LPA-STP2 315hp 6 cyl diesels matched with Bravo 1 X drives, giving it an EYE WATERING wide open speed of 45 knots, combined with a hydrodynamic stepped hull this RIDAS 36 explorer provides outstanding performance in any conditions.